With 2015’s Mockingjay Part 2, the super-successful Hunger Games franchise comes to its fourth – and final – film. As expected, this one picks up where 2014’s Mockingjay Part 1 ended. In that chapter, rebellion leader Katniss Everdeen (Jennifer Lawrence) helped gain the freedom of boyfriend Peeta Mellark (Josh Hutcherson) from the forces of tyrannical President Snow (Donald Sutherland). However, Peeta remains psychologically damaged by this experience and expresses hatred toward Katniss. Not one to give up easily, Katniss attempts to help rehabilitate Peeta. In a larger vein, Katniss decides to go rogue to pursue her main goal: the assassination of President Snow. Against the wishes of her superiors, Katniss gathers her own small battalion as she leads the charge to kill Snow and end the war once and for all. Because I didn’t get review copies of the films, I never wrote up the first three Hunger Games movies. I did see them theatrically, though, and experienced mixed results. I thought 2012’s Hunger Games firmly fell into the category of “not bsd”. I found it to offer a moderately enjoyable action flick but it didn’t become anything that I cared about to a substantial degree. 2013’s Catching Fire upped the ante, though, and I felt it offered a more involving tale. While this didn’t make the franchise a favorite, I believed the sequel brought us a more exciting, involving effort than the first film, and this gave me optimism for the next two chapters. Alas, 2014’s Mockingjay Part 1 completely dashed those hopes. Slow, turgid and dull, the movie felt like two hours of Katniss as she moped. After the thrills and drama of Catching Fire, Mockingjay 1 delivered a substantial disappointment. Given that Mockingjay Part 2 literally continued the story that bored me in Part 1, I probably shouldn’t have expected much from it. However, all the reviews I read indicated that Part 1 provided the “shoe leather” half of the original novel and Part 2 would give us the action-packed climax to the saga. Or maybe not. To be sure, Part 2 offers a more interesting tale than Part 1 did, but that counts as faint praise. Video footage of my last colonoscopy packs more thrills than the sluggish Mockingjay 1, so Part 2 couldn’t help but work better. Which it does, but not by a substantial margin. Just as the series needs to shift into overdrive, Mockingjay 2 finds itself stuck in neutral without much forward momentum. For a tale of violent insurrection, Mockingjay 2 sure does seem to lack thrills. I just don’t get the dramatic sense of life and death that the series needs. Do I care what happens to Katniss and her pals/clan? No, not particularly, mainly because the last two movies make her so dull. Perhaps some interpret Katniss’s drabness as “introspective strength”. I don’t – I just find her to seem flat and free from personality. 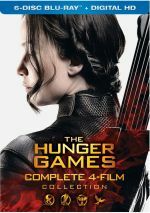 That wasn’t the case for the first two movies, as those showed Katniss to have charisma and vivacity, but along the way, she turned into a leaden lump. I suspect much of this comes from her tedious attachment to Peeta. As I alluded earlier, Mockingjay 1 lacked momentum, and that happened largely because the whole movie felt like shots of Katniss as she moped about Peeta. Nothing much seemed to happen beyond Katniss’s quiet fretting over her boyfriend, and that didn’t make for an entertaining two hours. On the surface, Mockingjay 2 should offer more intrigue. Now that Katniss located Peeta and got him released, we find potential drama, especially since Peeta remains more than a little cuckoo. Unfortunately, the actors so severely underplay their roles that the results continue to seem bland. Even with talents like Lawrence, Julianne Moore, Woody Harrelson and Philip Seymour Hoffman, the performers tend to be uninspired. Even Sutherland – who added zest to earlier chapters – feels flat here. Given the subject matter, Mockingjay 2 disappoints because it comes with so much potential. It leads us toward the climactic battle in a civil war and also deals with psychological issues related to the Katniss/Peeta relationship. Those topics offer plenty of room for excitement and drama. So why does the end result seem so inert? I can’t explain what went wrong, but Mockingjay 2 fails to turn into anything particularly interesting. Despite a few mildly interesting sequences, the film ends the series on a dull note. 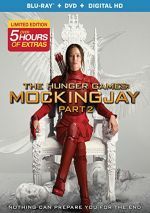 The Hunger Games: Mockingjay Part 2 appears in an aspect ratio of approximately 2.40:1 on this Blu-ray Disc. Across the board, the transfer satisfied. Overall definition worked well. Only a smidgen of softness materialized, so the majority of the film appeared accurate. I saw no shimmering or jagged edges, and the image lacked edge haloes or print flaws. Like many modern action flicks, Mockingjay 2 opted for a fairly teal palette; it also leaned toward an amber tone at times, but blue/green dominated. These hues seemed appropriate given the design choices. Blacks were deep and dark, while shadows were mostly fine; a few shots seemed slightly thick but those were in the minority. Ultimately, the transfer represented the film well. I felt even more pleased with the excellent Dolby Atmos soundtrack of Mockingjay 2. Downcoverted to Dolby TrueHD 7.1 on my system, the soundscape’s emphasis on action used all the channels on a frequent basis. The various speakers provided lots of information that filled out the movie and blended together in a seamless manner. This formed a dynamic soundscape with a lot to offer. Mockingjay 2 comes with a bunch of extras, and these open with an audio commentary from director Francis Lawrence and producer Nina Jacobson. Both sit together for a running, screen-specific look at adaptation issues and story/characters, cast and performances, sets and locations, stunts and action, cinematography, effects, and related domains. Expect a fairly average commentary. While Lawrence and Jacobson touch on a good array of topics, the results seem less than enthralling. The track offers a mostly positive look at the film but it doesn’t dig deep enough to become especially lively. Called Pawns No More, an eight-part documentary fills a total of two hours, 21 minutes, and 45 seconds. It offers notes from Lawrence, Jacobson, publisher David Levithan, producer Jon Kilik, production designer Philip Messina, director of photography Jo Willems, set decorator Larry Dias, propmaker foreman Devlin LaRue, foreman Mark Bialuski, casting director Debra Zane, costume designers Kurt Swanson and Bart Mueller, makeup designer Ve Neill, makeup special effects designer Glenn Hetrick, special makeup effects lead designer Michael O’Brien, hair designer Camille Friend, makeup designer Nikoletta Skarlatos, visual effects supervisor/2nd unit director, special effects coordinator Steve Cremins, stunt coordinator Sam Hargraves, stunt double Renae Moneymaker, property master Drew Petrotta, visual effects supervisors Adrian de Wet, David Seagar and Martin Hill, special effects foreman Brandon Keyes McLaughlin, editors Alan Edward Bell, Mark Yoshikawa and Jennifer Vecchiarello, 3D supervisor Jeremy Hardin, visual effects producer Melinka Thompson-Godoy, effects supervisor Rico Dober, digital compositors Travis Porter and Angelica Perez, effects artist Philip McAuliffe, lead sculptor Dorothy Ballarini, lead look developer Marieke Franzen, and sound designer/supervising sound editor Jeremy Peirson. We also hear from actors Jennifer Lawrence, Josh Hutcherson, Julianne Moore, Sam Claflin, Woody Harrelson, Liam Hemsworth, Willow Shields, Jena Malone, Stef Dawson, Elizabeth Banks, Natalie Dormer, Wes Chatham, Jeffrey Wright, Mahershala Ali, Elden Henson, Stanley Tucci, Paula Malcomson, Donald Sutherland, Robert Knepper, Sarita Choudhury, Michelle Forbes, Gwendoline Christie, Eugenie Bondurant, Meta Golding, and Patina Miller. “Pawns” examines story/character/adaptation topics, cast and performances. From there, we learn of visual design, sets and locations, photography, costumes, makeup and hair. The pieces progress through stunts and effects, editing, music and audio, and the conclusion of the movie series. In other words, “Pawns” covers pretty much everything you’d expect from a 141-minute documentary. It delivers a nice combination of interviews and behind the scenes material and packages it all well. “Pawns” proves to be a highly satisfying take on the production. A few featurettes follow. A Photographic Journey lasts 10 minutes, 17 seconds and includes comments from set photographer Murray Close. He discusses aspects of his career as well as his work on Hunger Games. Close offers an informative view of a subject not often covered in situations such as this. For the nine-minute, 22-second Cinna’s Sketchbook, we hear from costume designers Mueller and Swanson. They discuss the perspective of the Cinna character and influences on various Hunger Games outfits. This becomes an engaging view of the topic. Panem on Display: The Hunger Games: The Exhibition runs a mere one minute, 57 seconds. It takes us on a tour of movie-based display presented in San Francisco. This acts as an advertisement and nothing more. Finally, Jet to the Set takes up 41 minutes, 58 seconds. Hosts Laurie Feltheimer and Carly Steel visit the movie’s locations and also chat with Nina Jacobson, Larry Dias, Patina Miller, International Park Deputy Administrator Troy Stubbs, makeup artist Tracey Miller, hair stylist Jerome Allen, location scout Trey Neely, and various “Atlanta celebrities”. Aired before the movie’s release, it clearly exists to promote Mockingjay 2. Despite its glossy and superficial feel, “Jet” manages to provide a mostly interesting view of the locations. 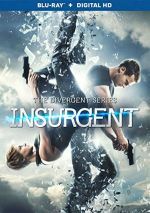 The disc opens with ads for Now You See Me 2, The Divergent Series: Allegiant, Gods of Egypt, and The Last Witch Hunter. No trailer for Mockingjay appears here. A second disc provides a DVD copy of Mockingjay 2. It loses the “Pawns” and “Jet” documentaries but includes the other extras. As much as I hoped Mockingjay Part 2 would end the Hunger Games series with a bang, the film instead delivers the proverbial whimper. A few sequences threaten to show signs of life, but most of the movie seems flat and uninspired. The Blu-ray brings us pretty good picture along with excellent audio and a strong roster of supplements. Mockingjay 2 isn’t the worst of the series, but it’s not a satisfying finale.